Born in Cincinnati, Ohio, on July 5, 1884, to Thomas and Elizabeth Barbour, Violet Barbour received her B.A., M.A., and Ph.D from Cornell University. In 1914 she was appointed to the Vassar faculty as a professor of English and European history. Initially an English history scholar, Barbour changed course midway through her career and became an authority on Dutch economic history. In 1925, she became the first woman to receive a Guggenheim Fellowship. 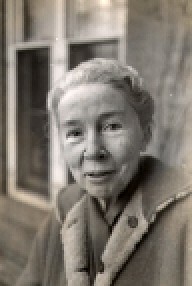 The fellowship funded her research on Anglo-Dutch commercial rivalry, which led to her book, Capitalism in Amsterdam in the Seventeenth Century, published in 1950. The University of Amsterdam used Barbour's book to teach Dutch students the basics of their own economic history. The Historisch Genootschap, the oldest and most exclusive historical organization in the Netherlands, elected Barbour as an honorary member, a distinction rarely given to foreign scholars. Barbour's earlier work in English history also gained her recognition. Her book, Henry Bennet, Earl of Arlington, Secretary of State to Charles II earned her the Herbert Baxter Prize by the American Historical Association in 1913, and fellow historians remarked fifty years later that the work remained "the standard authority on the subject." Barbour was a member of the American Historical Association, the Economic History Association, and the Conference on British Studies. She was a fellow of the Royal Historical Society in England, and she participated in the Dutchess County Historical Society. Ms. Barbour was a beloved member of the Poughkeepsie and Vassar community, weighing in on local issues like road enhancements and hospital closures despite a heavy courseload. A student remembered her as, "just slightly Jane Austen, though at the same time New Yorker chic." Colleagues said of Barbour, "Those who knew her best remember her for her combination of intellectual toughness and personal delicacy… To her friends she was warmhearted, witty, and stimulating. To everyone she was kind, though her charity towards a person did not necessarily extend to his opinions… She delighted in intellectual sparring, in challenging and being challenged by her students. Her original mode of expression, personal warmth, and infectious humor found full play in the classroom. She was shy by nature, but lost her shyness when she found herself, as she once remarked, 'facing a group of freshmen faces more frightened than I was.'" Miss Barbour's personal philosophy toward teaching and scholarship emphasized interdisciplinary studies. She believed, "Scholars should always be trespassing upon one another, always making peaceful forays into one another's territory to learn what is afoot there and bring the news to astound the folks at home." Barbour pushed her students to achieve but felt uncomfortable focusing on her own achievements. In the yearly updates that all faculty members submitted to the school, Barbour showed surprise at the various recognitions she received. When a publisher reissued her book, Capitalism in Amsterdam in the Seventeenth Century, in a paperback form, she noted that she never had believed she would achieve the honors of "paperbackery." In describing her research, Barbour conceded, "The project is not one of earth-shaking importance, but it has a great deal of human nature knocking about in it, and I find it quite absorbing." Despite her humility, historians considered all her major works expert authorities, and when she died on August 31, 1968, newspapers on both sides of the Atlantic devoted columns to her achievements. Biographical File. Violet Barbour. Vassar College Special Collections (VCSC). Biographical File. Violet Barbour. Appreciation Eulogy at Faculty Meeting by Mildred Campbell, Donald Olsen, and Rhoda Rappaport. (VCSC).